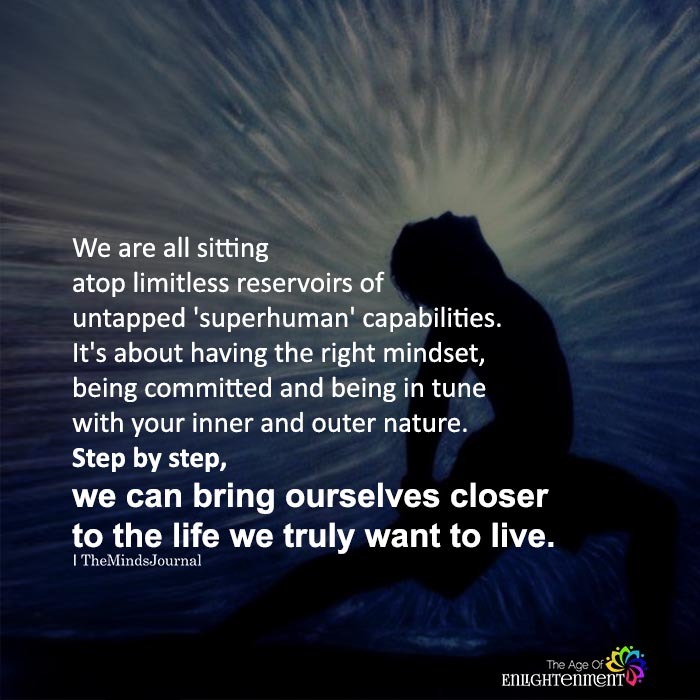 We are all sitting atop limitless reservoirs of untapped ‘superhuman’ capabilities. It’s about having the right mindset, being committed and being in tune with your inner and outer nature. Step by step, we can bring ourselves closer to the life we truly want to live.